Maryam is the President of Lily Dermal Care and is a licensed and certified Master Medical Aesthetic. She brings over fifteen years of experience to help her customers with their skin care needs. Her techniques are modern and she uses state-of-the-art treatment for acne, pigmentation, rosacea, acne scars, stretch marks, and face lifting. She performs these treatments skillfully and painlessly for optimum results. Her work on healthy dieting has also prompted her to research and develop effective techniques for weight loss and body toning therapy. She is currently certifiied by the LPG Academy to use LPG Cellu M6 Integral 2 equipment for Endermolift and Lipomassage therapy. She was trained in New York, Las Vegas, Chicago, Richmond, Philadelphia and Florida. Maryam has also been certified in the use of organic herbs and is a specialist in the use of laser therapy on a variety of skin types. She has worked as a professional skin care specialist in Gaithersburg, Maryland and Alexandria, McLean, and Fairfax in Virginia. Maryam has always loved nature. She loves painting flowers and herbs and all forms of plant life. This passion for life has led her to advocate the use of vegan oils and extractions for facial care and she achieves refreshing, radiant results. Her pursuit of a better lifestyle through exercise and healthy dieting has prompted her to research a variety of weight loss products and body therapy equipment which she has made available through Lily Dermal Care. Maryam,s product lines are very popular among the skin care specialists and dermatologists. 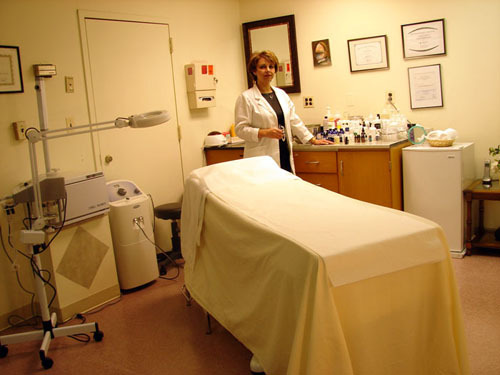 Maryam is the President of Lily Dermal Care and is a licensed and certified Master Medical Aesthetician. Her professional training and experience qualify her as an expert in evaluating and treating all types of skin care concerns.